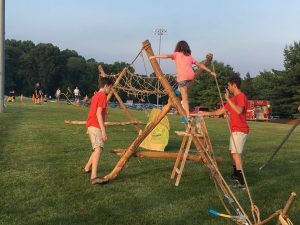 On Tuesday evening July 18, 2017, the 3rd annual Washington Township Community Night Out – an event hosted by the Washington Township Emergency Services – took place at Rock Spring Park. 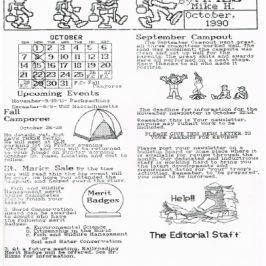 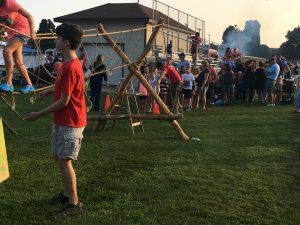 At the event, there was free food, drinks and activities for families and people of all ages to enjoy. 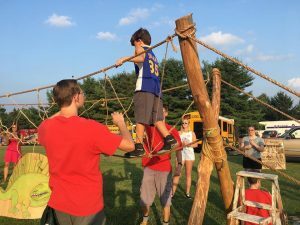 From bounce houses and rock walls to a hot air balloon and Jaws of Life demonstration, the Community Night Out was a major hit. 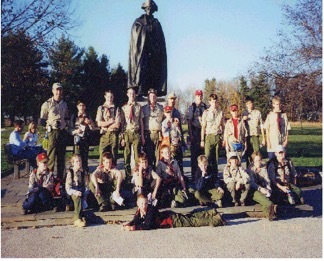 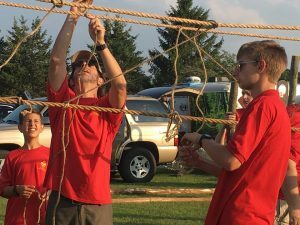 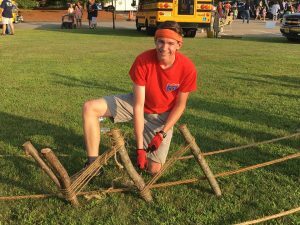 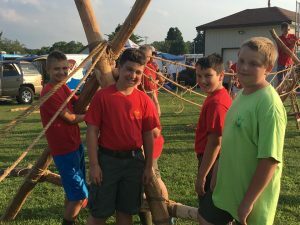 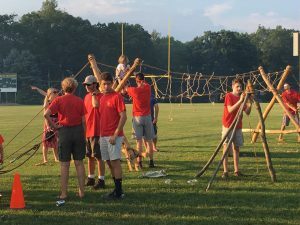 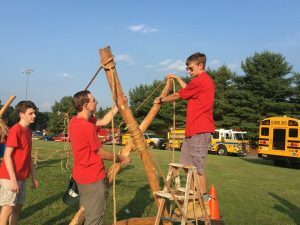 Our Troop made an outstanding monkey bridge for the event that attracted many people and stood out for its sturdy and nice looks thanks to the Troop 236 volunteers who put in a lot of work and effort making that night possible. 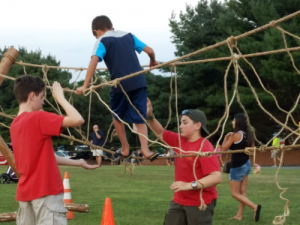 Thank you to all the volunteers for helping make and run the monkey bridge!